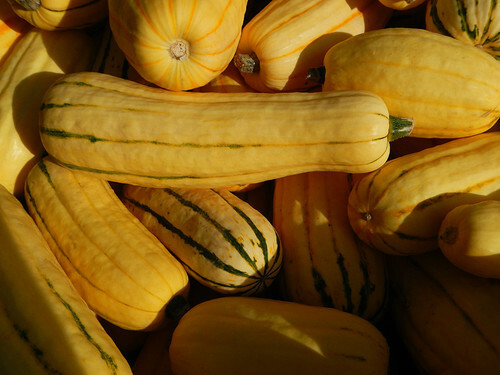 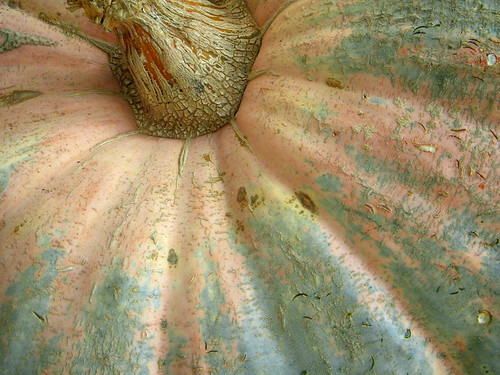 Q for squash, a plant species that originated in the Americas. 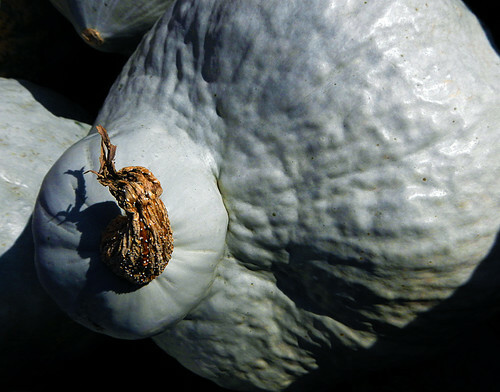 In Mesoamerica the indigenous peoples planted squashes together with corn and beans in a milpa, a kitchen garden where each crop complimented the others. 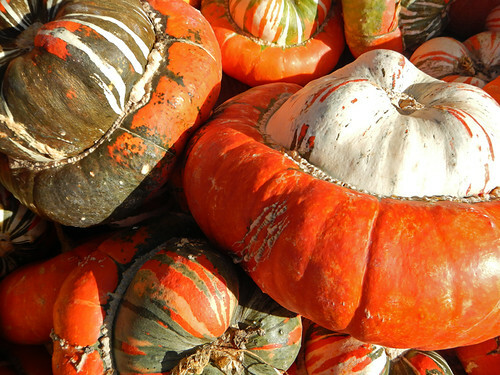 Squashes for sale at local vegetable stands: yellow, blue, green and orange. 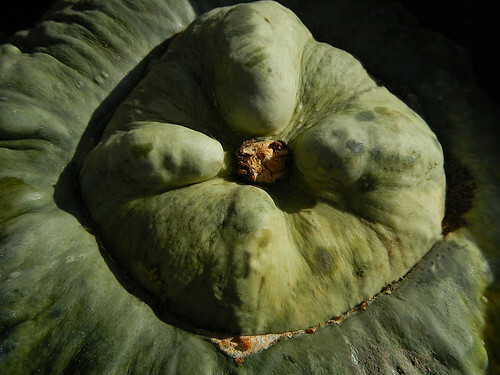 A subtle-coloured squash in Las Vegas, USA. 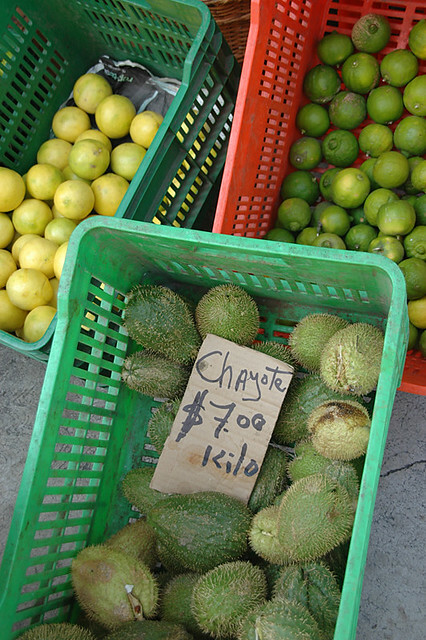 They had sold cups of steamed ‘chayote’ on the bus in Mexico – I thought it was a type sweet potato but it turns out that it is a type of small, prickly squash. 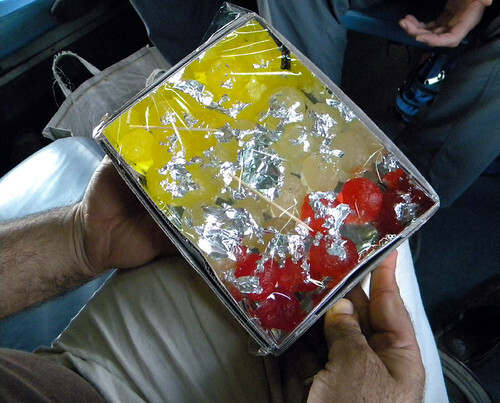 Our seat mates Pinky and Kumar offered us these candied squash treats on the train to Agra, India. 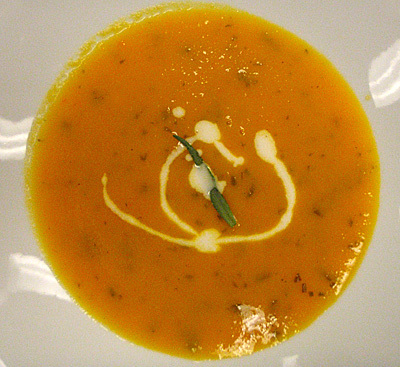 In our Fall menu from the Burgundy region of France, the soup was cream of butternut squash, topped with a drizzle of cream and a sprig of tarragon.